Sri Swami Viditatmanandaji, a disciple of Sri Swami Dayananda Saraswati, expounds Vedanta with a simplicity and directness that make it easy to assimilate. Having lived and worked in the United States prior to becoming a renunciate, Swami Viditatmanandaji is familiar with the lifestyles in India and the West. With his insight into both cultures, he reaches out to everyone with equal ease. Swami Viditatmanandaji graduated in 1978 from the course taught by Pujya Swamiji in Bombay, India. Since then he has been extremely active, teaching, and writing books. Swamiji is the President of Arsha Vidya Gurukulam, Saylorsburg, USA. Under the banner of Adhyatma Vidya Mandir, Swami Viditatmanandaji conducts various programs to disseminate the knowledge of the scriptures. Swamiji gives talks on the Upanishads and the Bhagavad Gita all over Gujarat, India. 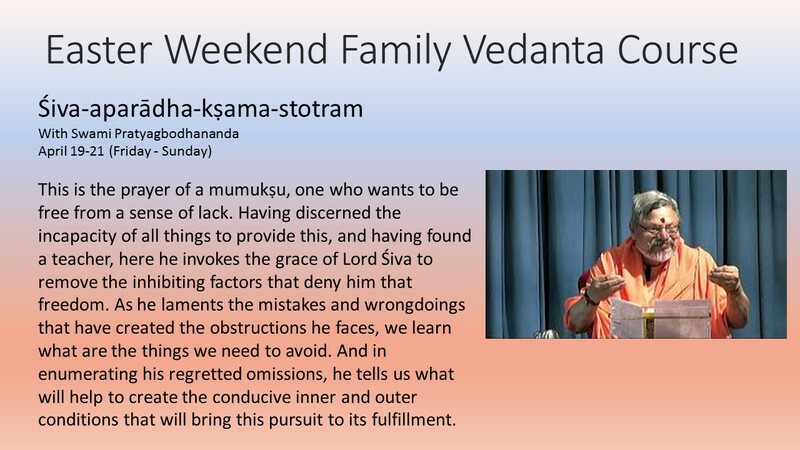 Swamiji also conducts management seminars with a view to showing the relevance of Vedanta in management. Swami Viditatmanandaji’s TatvatirthaAshrama is situated in the western outskirts of Ahmedabad in Gujarat. As its name suggests, it is a center for learning the Tattva, i.e. the truth.